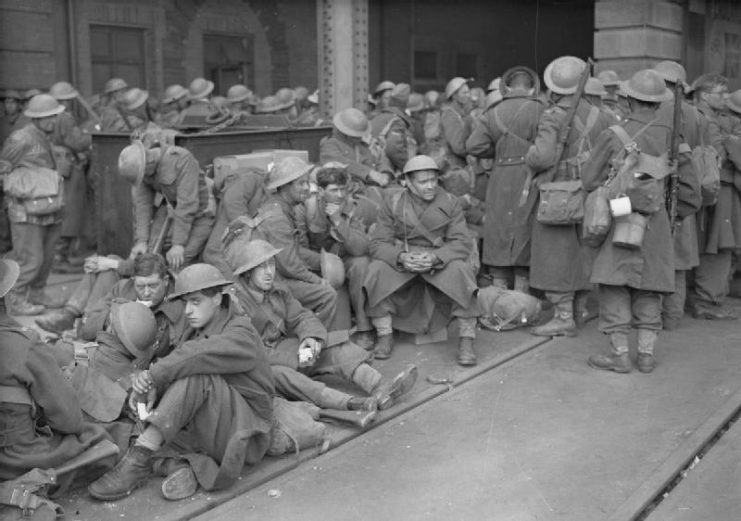 Troops evacuated from Dunkirk arrive at Dover. Staff cars and troop carriers are strewn along mile after mile of sand dunes. 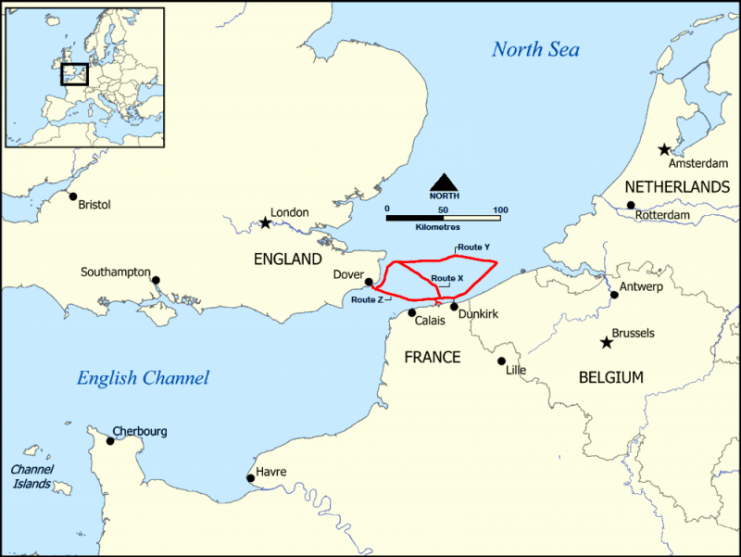 The flotilla of little boats that helped the British Expeditionary Forces and their allies escape to safety from the beaches at Dunkirk have become legendary. They have taken up page upon page in the history books, but most of what we read was written by the eventual victors. We never got to see what was left behind for the enemy, until now. A number of photographs taken by an unnamed German serviceman have recently emerged, bringing excitement to historians and WWII enthusiasts. An anonymous collector has made them available to an archive project that was set up to gather exactly this sort of material and is expected to publish more in the coming months. 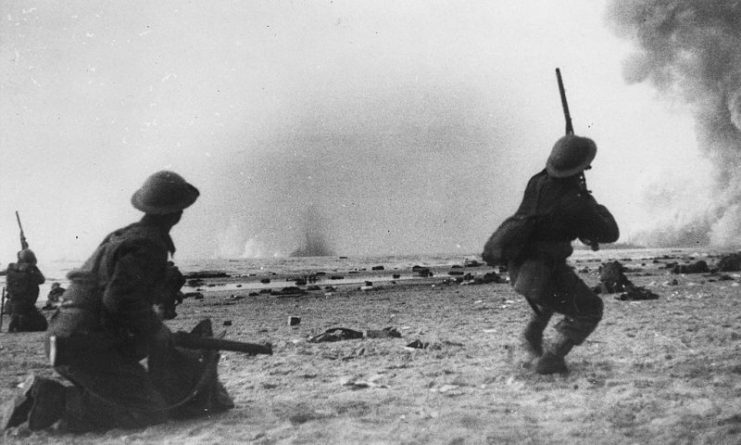 The morale boost that the British took from the rescue of their troops from the beaches of Dunkirk turned a disastrous military defeat into one of the country’s proudest moments. But had the public been aware of the scale of the losses involved, the story might have quite different. 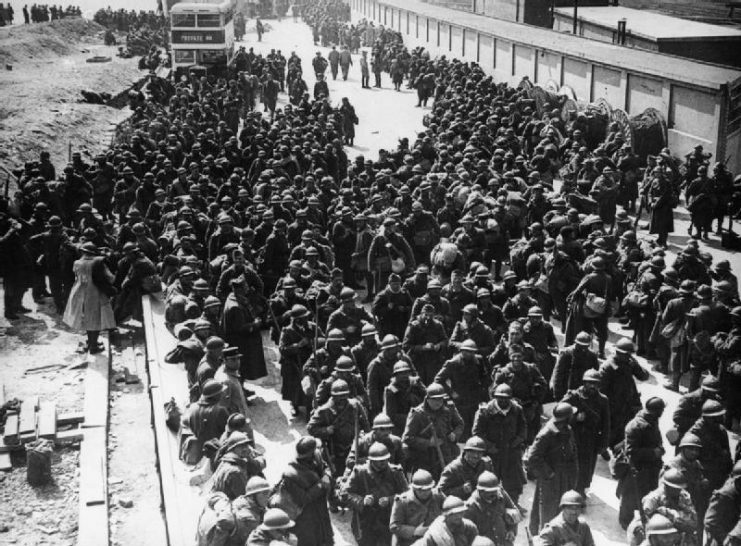 While the operation, codenamed Dynamo, repatriated more than 330,000 Allied troops, the BEF lost 68,000 men and almost 50,000 were taken prisoner and marched to Germany as POWs. 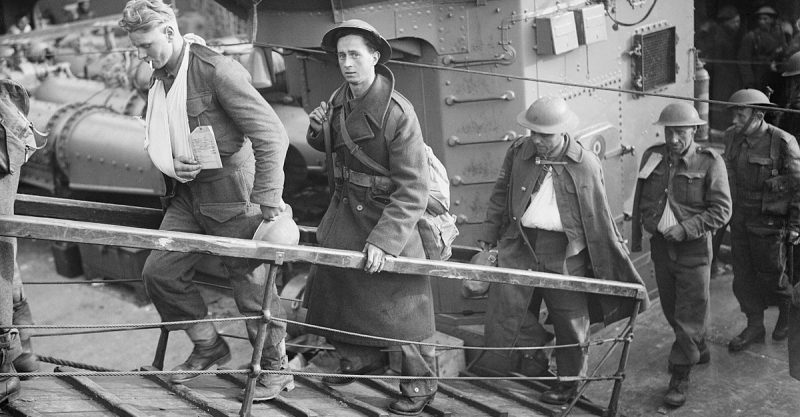 Left on the beaches and in the warehouses of Calais, Dunkirk, and Boulogne was all the equipment, rations, and machinery that the BEF had put in place to support an army of such numbers. Almost all of Britain’s 445 tanks were abandoned to the enemy, as well as 2,500 guns and 85,000 vehicles. The recently released photographs were never part of any Nazi propaganda campaign and are simply candid images of what the soldier thought was interesting on the day he arrived on the scene. Staff cars and troop carriers are strewn along mile after mile of sand dunes, some with doors hanging open and others with engine hoods up where the Allies had tried to put the vehicle out of use. 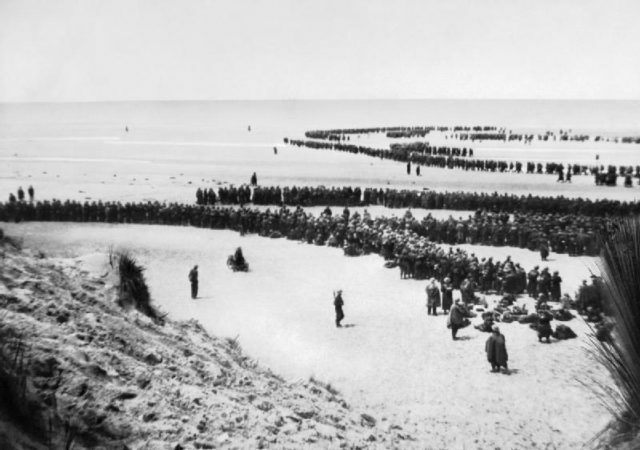 Out to sea, there are the remains of the ships sunk by the German Luftwaffe while trucks stand silent on the shore as a testament to the massive logistical effort mounted by the Allies in the defense of France. German soldiers are seen standing next to French SOMUA S35 tanks and artillery while they take in the extent of the rout they had just inflicted on the Allies. Some pictures show the incredible mass car-parks that had materialized in fields on the edge of town as the troops abandoned the battle for what looked like certain death in the English Channel. Many of the vehicles appear to have been burned out, either deliberately by the fleeing Allies or as a result of German bombardment. 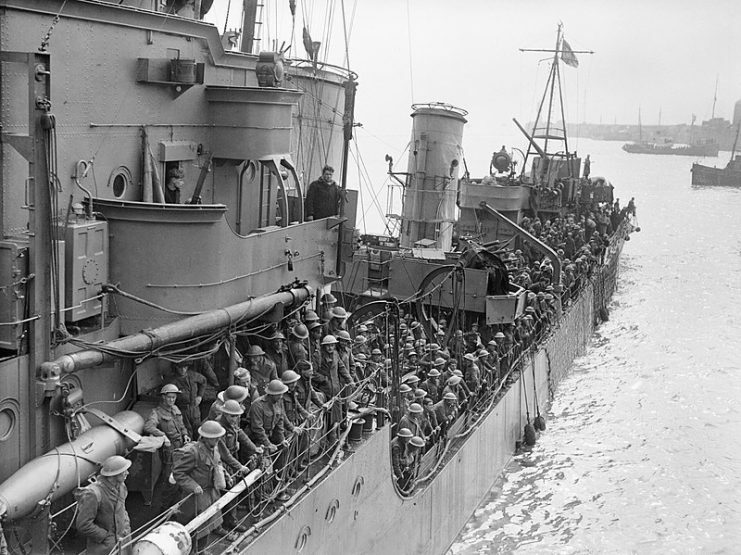 The town of Dunkirk was devastated by the battle as the BEF fought its rear-guard action. The once formidable French First Army was reduced to the 2nd Light Mechanized Division and 68th Infantry Division as they fought to keep the Germans out of the town until the evacuations finished on the 4th of June. From the photographs we can see how much the British and their French and Belgian allies had lost. The scale of the challenge to re-arm cannot be underestimated. With the Battle of the Atlantic starting to build in 1940, this was just the beginning of Britain’s war.